According to the International Red Cross, the history of hospital ships, at least in the west, starts in the 17th century, when navies began to routinely send ships intended for the care of wounded and sick sailors and soldiers in company with fleet actions. In the 17th and 18th centuries, naval authorities chose veteran combat vessels for hospital use. Typically these tired men-of-war served as warehouses for the sick and wounded–victims of the rigors and deprivations of long distance sailing, or of war. During the 19th century, the procedure of taking ships up from trade–contracting civilian passenger liners or cruise ships and converting them to hospital use–found increasing use among many navies. 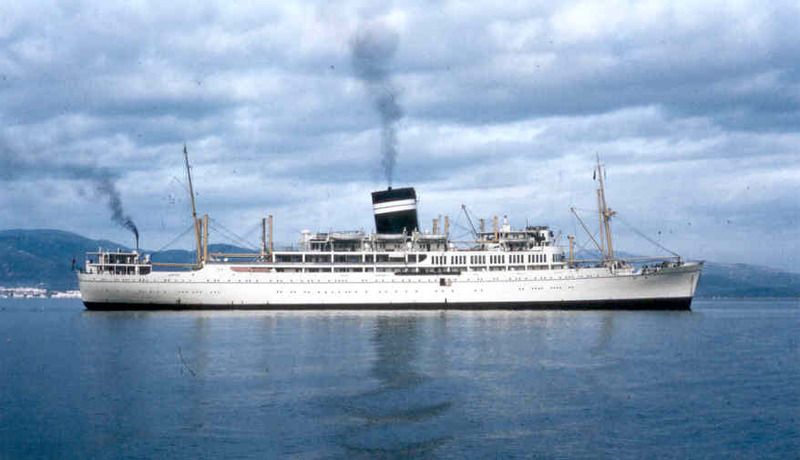 Even as recently as the war in the Falkland Islands, the British Royal Navy took SS Uganda up from her civilian service as an educational cruise vessel to serve UK and allied troops during that short but violent conflict. 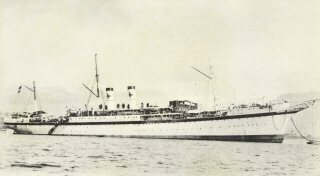 By the twentieth century, while the vast bulk of ships serving hospital duty were taken up from trade, some nations–the United States in particular–began constructing purpose-built hospital ships, the first example being the USS Relief (AH-1), laid down in 1917 and commissioned in 1919. In World War II, the British, Australian, Canadian, New Zealand, Dutch, French and German naval services all boasted hospital ships taken up from trade and converted for hospital or sick-transport use. The U S Army commissioned 24 hospital ships, all in hulls converted from civilian use and manned by Navy crews and Army medical staffs. To this day, the vast bulk of ships serving a dedicated hospital role are commercial or transport hulls converted to hospital purpose. In 1907, hospital ships received explicit international legal status with international legal protections from attack and seizure, under Article Four of the Tenth Hague Convention. In order to receive such international protection, the hospital ship must meet the following standards: they must carry on no military activities, including interference with navigation by enemy ships; they must be painted white and bear large images of the red cross, the red crescent, or the red lion and sun. In order to ensure their protection under the Convention, these ships may be illuminated at night and during periods of poor visibility in order to make their hospital ship status readily apparent. Ironically, it was the Russian Hospital ship Orel (Eagle) that, by being so illuminated, tipped off elements of the Japanese navy to the presence of the Russian Admiral Rozhesvensky’s fleet trying to sneak its way under cover of fog and dark through the Tsushima Strait to Vladivostok. This contact led directly to the 1905 epochal naval battle that devastated the combined Russian fleet, and confirmed the ascendancy of Japanese naval power. In World War I, hospital ships continued their traditional role as transports of the sick and wounded, bringing them from far away points of combat back to their home country for definitive treatment. The same can be said for hospital ships in World War II, though by this time, increasingly sophisticated care could be provided aboard these ships. By the time of the Korean War, hospital ships could take the role of stationary hospitals simply located at sea. An example of this is the Danish hospital ship Jutlandia, which, operated by the Danish Foreign Ministry and staffed by Danish volunteers, and with agreement of the United Nations, anchored off the Korean city of Pusan, and later Inchon, to provide medical services to military and civilian casualties and sick alike for three years during the U N’s police action in that peninsular nation. and Russian (Project 320 Ob’ Class) navies operate large hospital ships; these are almost inevitably hulls converted or adapted from other purposes. The Spanish Department of Labor operates a large purpose-built hospital ship to serve that nation’s commercial and fishing fleet, and many nations, including Argentina and Brazil, operate smaller hospital units afloat in their extensive river waterways to provide care to civilian populations. Given the trend toward delivering nearly definitive care to wounded soldiers very close to, or in, combat action zones, and the extensive use of air evacuation, many are questioning the need for large hospital ships. The American experience is instructive: since 2003, U S hospital ships have been absent in areas of U S combat operations; increasingly, they are seen as assets to provide humanitarian care in areas of natural disaster. The US, Chinese, British, and German navies increasingly use medical and surgical capabilities built into combat or combat support ships to provide at-sea medical support for operations distant from the home country. The US has extensive medical capability in amphibious warfare ships of the LHD, LHA, LPD and LSD classes; the British have the Royal Fleet Auxiliary (Aviation Training Ship) Argus, now designated as a Primary Casualty Receiving Ship) and the Germany navy counts two ships (with a third on order) in its Berlin Class of replenishment ships, designed to support German military forces away from their home ports. It would appear that while the nature of hospital facilities at sea are changing, there is little doubt that soldiers, sailors and Marines can look forward to receiving medical and surgical care “from the sea” for some time to come. I’m still in the east, and while the topic of closed Naval Hospitals in New York State is fresh in mind, it occurs to mention two other facilities in New York State that saw gallant service and are now closed. In addition to Naval Hospital Sampson, subject of my last posting, the Navy operated hospitals in Brooklyn and St Albans in the borough of Queens. the hospital came into its own during the civil war. The Navy Surgeon General reported that in 1864, the average hospital census was 229, and that 2,135 patients had been treated during the year. During the Spanish American War, the Brooklyn Naval hospital counted among its staff four female nurses–three were medical students from the recently founded Johns Hopkins Medical School and one a pre-med from MIT–a first in U S naval history. The hospital reached its peak capacity of 1125 patients in World War two, but rapidly decreased in activity, to be decommissioned in 1948. Stabilized and preserved by the Navy, the building nevertheless remains abandoned and derelict to this day. Naval Hospital St Albans sprung into existence during World War II. Commissioned in 1943, its peak capacity was 4642 patients. After the war, the hospital absorbed the workload of Naval Hospital Brooklyn when that facility was decommissioned. In the mid-1970s, the Navy decommissioned the hospital and turned it over to the Veterans’ Administration. The facility now serves as a VA Community Living Center. Recent news suggests that the VA has plans to demolish the old hospital structures and replace them with modern facilities. Your editor is traveling in upstate New York this week. On my itinerary: the site of the WW II Naval Hospital at Sampson, NY. lying just to the south of Rochester and Syracuse. This training center, like its partner in Farragut Idaho, came into being, some historians have it, because Navy officials and President Roosevelt wished to have facilities located away from our coastlines in event of invasion. Construction on the 2500 acre site began in May 1942 and took just 270 days. The first recruits arrived as construction entered its final stages. The Training Center, designed to train 2000 recruits at a time indoctrinated more than 400,000 recruits in the Navy way during its roughly two year existence. Work clearing the site for the 1500 bed hospital began in June 1942, and the hospital saw its first admissions–sick corpsmen–in January 1943; it was officially commissioned by Captain Claude W Carr, MC, USN, on 27 February 1943. Included in its medical staff was orthopedist Lt Commander Mal Stevens, former football coach at Yale and New York University. The hospital was well utilized from its opening, but the patient census reached a peak of around 2100 at the end of August 1945. The hospital medical service cared for large numbers of infectious diseases among trainees, the new antibiotic penicillin being used to cure several hundred cases of pneumonia. The surgical service was a busy one: Navy surgeons performed more than 1800 operations in 1943, and as many in the first 8 months of 1945. Hernia repair was the most common surgical procedure performed, with appendicitis being the most common acute surgical condition. In early 1945, with the end of the war in sight, training center activity began to slow, and the number of recruits admitted decreased. The hospital was now caring for an increasing number of war injured patients, and, beginning in January 1945, tuberculosis patients. The Tuberculosis Service peaked out at around 1000 patients, and the Tuberculosis Service boasted a staff of nine TB specialists including chest surgeons, bronchoscopists and internists. With the end of the war, most patients wanted to move to hospitals closer to home. This exodus resulted in hospital closure on 1 July 1946. It experienced a brief renaissance during the Korean conflict, but then closed forever. With the support of several veterans’ groups, the site of the former hospital will become the site of the Sampson Veterans’ Memorial Cemetery, which will offer a final and peaceful resting place overlooking the lovely eastern shore of Seneca Lake. I’m in the National Archives this week, completing my research on the history of the Naval Hospital at Mare Island, California, the Navy’s first on the U S west coast. The work is winding down, as I’ve reached the correspondence between hospital commanders and the Bureau of Medicine and Surgery covering the last two years of the hospital’s existence. It’s sad reading. The hospital, which peaked out at around 1800 beds during World War II, gradually dwindles, first to 250, then 100, then 50 beds. Even though I know the place closed in 1957, the process is actually quite painful to watch unfold. First and foremost, I think it’s the human relationships. As we work at an institution, we develop trusting, collaborative relationships with our fellow staffers. We get used to personal quirks, and special talents we can count on and look forward to exploiting (in a positive way!). Seeing those special relationships dissolve was especially difficult for me. I think an institution takes on a life and a personality of its own through the people who work there, manage the place, and nurture it, really. Even after the people are gone, you can feel something almost spiritual there. I certainly feel this when I walk the hallowed ground on the now-closed and silent hospital on Mare Island. It’s like the soul of the place–or perhaps the souls of the sailors and Marines who were cared for there, and the staff who labored there–are present even to today. Fortunately, this is where “history” can enter. It’s through the research, study and writing of history that we >can< give "eternal life" to these inanimate objects, to leave for future generations the living story of places and things that once upon a time very much had lives of their own. A final thought: there is wisdom in sailors' penchant to anthropomorphize the ships they serve in–to imbue them with the soul and personality of living things. They–we all–become attached to the places where we work. To watch them die–to be disestablished or decommissioned–is like watching the final agonies of living creatures. Painful, painful to behold. I'm feeling that pain in the National Archives this week. 31 August marks the establishment by Congress of the U S Navy Bureau of Medicine and Surgery in 1842. Up to this time, all aspects of Naval operations were handled out of the office of the Secretary of the Navy, or by a general Board of Commissioners. Increasingly sophisticated technology however, called for concentration of expertise in discrete areas, and so Congress created the “Bureau System” for managing the Navy’s activities. These concentrated expertise under specified directorates like the Bureau of Yards and Docks (Civil Engineering), Construction, Equipment and Repairs (Ship Building), Ordnance and Hydrography (weapons), and Medicine and Surgery (health care). The Bureau of Medicine and Surgery (BuMed), the central administration for Navy medicine, was given responsibility for all medicines, hospitals and their furnishings, surgical instruments, the care of Navy and Marine Corps patients and all contracting and procurement related to these functions. Until 1871, the sole title of the head of the Bureau was “Chief of the Bureau of Medicine and Surgery”. In 1871 Congress conferred the additional title of Surgeon General of the Navy. The first major challenge to face the Bureau was the Civil War, when the number of medical officers nearly quadrupled and hospitals at Boston, Philadelphia, New York and Washington DC opened in older facilities or enlarged, and temporary hospitals sprung into existence in New Bern, NC, Beaufort and Port Royal South Carolina and Pensacola. The Naval Hospital at Norfolk, VA, lost to the Confederates early in the war, reopened for Union forces upon its recapture in 1862. Other hospitals opened in Mound City, Illinois (later moved to Memphis) and New Orleans. The first Navy hospital ship–the Red Rover–saw service to Naval forces on the Mississippi. In addition, Bureau Chief William Whelan established the Naval Laboratory in Brooklyn, under the direction of Surgeon Benjamin Bache and Edward R Squibb. Squibb was responsible for creating a system for producing medicaments of reliable quality. World War I saw a five fold increase in hospital beds for the Navy, and an equivalent increase in personnel. In addition to overseeing the expansion of several existing hospitals in the continental United States and in Hawaii, the Bureau undertook to construct or lease space for two hospitals in France and at least one in the United Kingdom. Naval authorities tasked Surgeon General William C Breasted with developing and manufacturing an effective gas mask system, a project that achieved success. Finally, the Bureau began the first faltering steps in establishing the science of aviation medicine in the Navy. BuMed faced its largest challenges by far during World War II. The medical department grew tremendously, with 10,000 physicians entering the service from civilian life. Hospital ships were built, and with Marines deployed in large numbers throughout the Pacific Theater of War, the Navy hospital establishment, both at home and overseas, grew immensely. In California alone, the Navy built new hospitals in Long Beach, Santa Margarita, Oakland, Shoemaker (now Dublin) and San Leandro and expanded standing facilities at Mare Island, San Diego and Treasure Island. In addition, in California alone, the Navy opened convalescent hospitals in hotels at Santa Cruz, Yosemite National Park and Norco, and in abandoned Army hospitals in Banning and Beaumont. 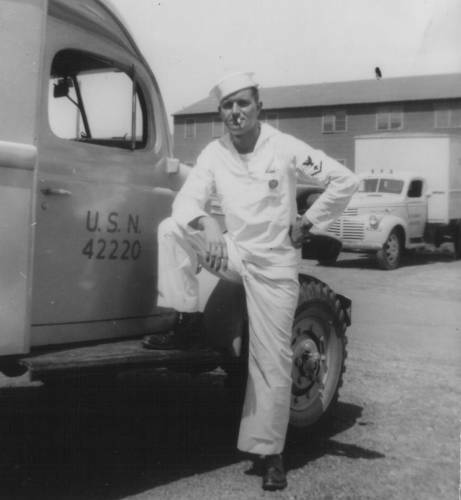 A rapidly expanding submarine force required the Bureau to undertake training of physicians in hyperbaric medicine; the aircraft carrier Navy called for a large increase in doctors trained in aviation medicine. Under Surgeon General Ross T McIntire’s leadership the Bureau also developed research programs to find effective insect repellents to fight malarial mosquitoes in the South Pacific, occupational medicine research seeking means for improving the atmosphere in submarines, nutritional improvements for shipboard and combat personnel, development of flash-burn prevention techniques, improvement in oxygen delivery systems for aviators, research in tropical diseases and a vast variety of other areas of inquiry. Today the Bureau oversees the care of Navy and Marine Corps personnel at home and in deployment around the world. Its research facilities concentrate in problems of infectious disease, combat casualty care, and the care of people serving in environments unique to the navy and Marine Corps–on, above and below the sea surface, in cold, tropical, high altitude and desert locations.